The headquarter is located in Hainuo Industrial Park, National New & Hi-tech Industry Development Zone, Anshan City, Liaoning Province. Covering an area of 400,000 square meters, the group has over 1,500 staffs with total assets of almost RMB 1 billion. We have been awarded ISO9001 Quality System Certificate, ISO14001 Environmental Management System Certificate, and “CCC” Certificate. We were appraised as “Contract-abiding & Trusty Enterprise” at national level by State Administration for Industry and Commerce in 2003. 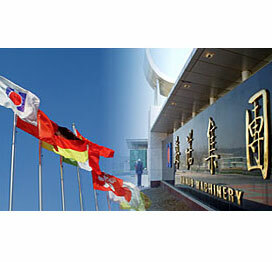 We were recognized as “New & Hi-tech Enterprise” of Liaoning Province in 2004. Hainuo was evaluated as “Chinese Famous Trademark” by State Administration for Industry and Commerce in June 2005.